Pivot Pegz are high performance foot pegs incorporating a unique and precisely tuned, spring loaded pivoting action that allows the foot peg to pivot forward and backward and move with the natural motion of the rider's feet. A computer designed spring holds the peg in its central (neutral) position and provides optimized resistance and shock absorpsion during the pivoting action. When forward or aft pressure is applied, the peg pivots in a smooth and predictable manner. When pressure is released the peg instantly returns to its central position. The spring loaded action of Pivot Pegz also provides valuable force feedback to the rider and assists in returning their feet to the central position. One of my favorite upgrades. I installed a set of Mark 3's on my '05 R1150GS and am wondering why I didn't do it sooner. If you spend time off the pavement, these things are a must. So much more comfortable, better balance, easier shifting & braking while standing, and has a noticeable difference on my knees by days end. I'm a big guy with sasquatch feet, and shifting with riding boots while standing can be a bit of a pain.. With the pivot pegz installed in the lowered position and the rotation of the pegs, shifting is a whole lot more natural. If you find yourself doing any amount of off road riding where you're standing for extended periods, these really make a difference both in stability and dispersing the pressure under your foot rather than on one small area which can wear on you. Awesome product. 5 minute install. Worth every dollar. 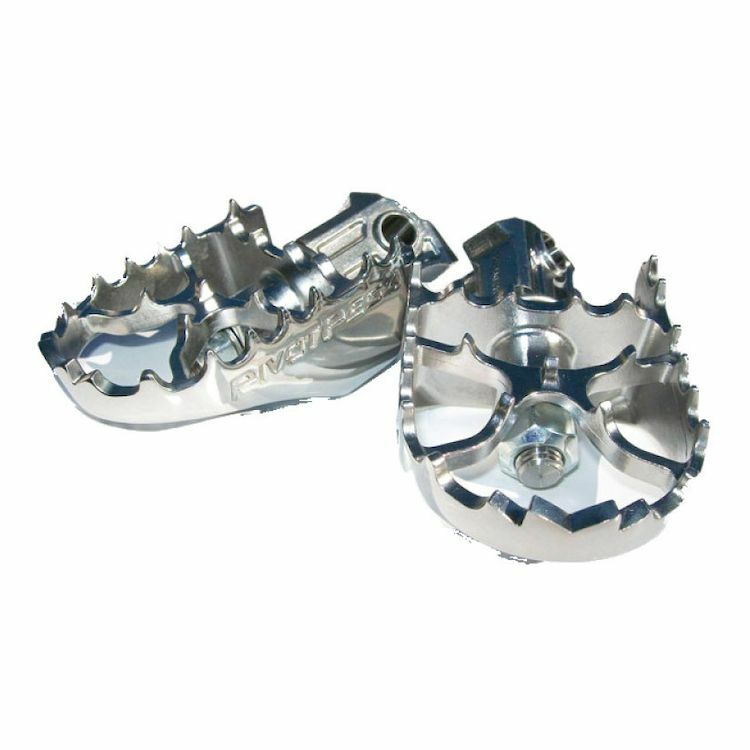 When I first saw these I thought they were just what I wanted and then I saw that they "didn't fit" the Tiger Explorer on Revzilla's website and on the Pivot Pegz website. So, I looked at other foot peg alternatives to replace the narrow and uncomfortable stock foot pegs. Nothing really seemed like a good deal. I then looked on ADVRider and someone said that they'll fit on TEX so I decided to give it a try. They fit. Plain and simple and install took maybe 5 minutes. Easy. It's february in the Midwest so they haven't been tried on the road yet, but sitting on the bike in the garage is like butter. I'm really looking forward to taking my first ride with my new Pivot Pegz installed. Hope this helps other TEX owners out there. 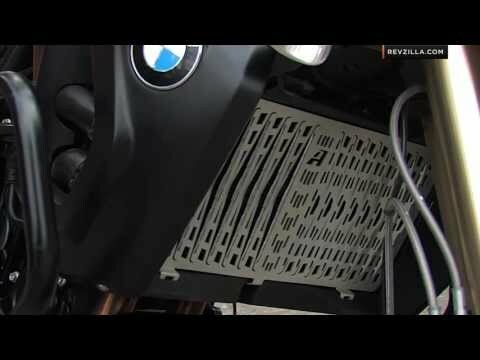 I fitted the Foot Pegz Mk3 to my 2012 BMW G650GS, although this model doesn't seem to be listed for my bike I did some research and it's the same fitting as for the F 650GS. Fitting is reasonably straight forward, following the instructions. The wider foot peg gives a move secure feel and your boot is always in full contact with it when you're up and down out of the seat. There was some vibration through my rubber soled boots, which I fixed by later getting the hard rubber Topper Set that fits over the top of the pegs. These pegs a very well manufactured and I highly recommend them to anyone who is not satisfied with the standard set of foot pegs. Takes a little muscle to get these bad boys on, you'll probably do well to wear a glove -- brand new the pegs look sharp and are sharp - so sharp that after 1 hour of riding in LA traffic they chewed a nice groove on the sole of my lefty. Initially take a little getting used to, can grab your foot and make it tricky to "wiggle" out until you find the sweet spot and get more familiar -- then it's pure luxury!